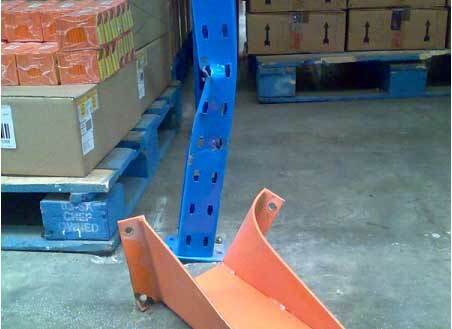 Dickman Pallet Rackingcarries out rack safety audits to comply with the latest Australian Standards 4084-2012. Damage to storage racks does occur in some circumstances and this can lead to collapse! Every collapse, however small, can lead to serious staff injury. Let us help you meet the latest safety racking requirements. 1. Have you had your inspection carried out in the last 12 months? 2. Are your safe working load signs easily displayed? 3. Have you altered your racking structure? 4. Can we assist you with documenting damage or repairs? 5. Do you have rack protection? 6. Do you believe your racking is safe for your employees?